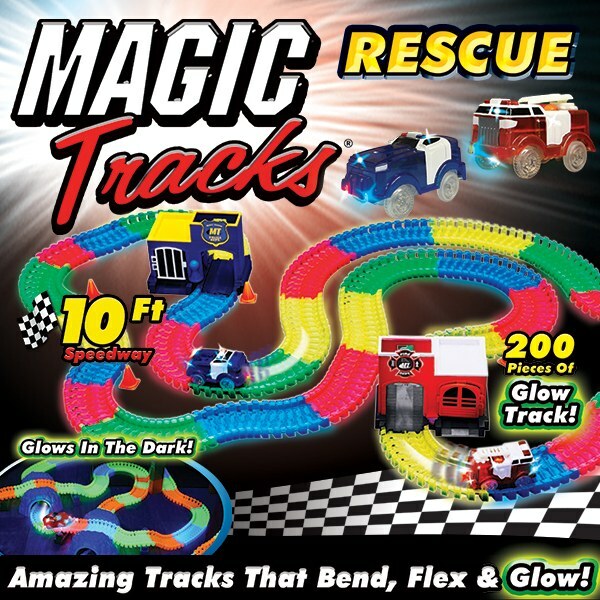 The amazing tracks that bend, flex, and glow! Now with Police and Fire! This RESCUE Set includes 10 feet of speedway, 200 track pieces, police station with built-in jail, fire station with built-in garage, police car and fire truck, police and fire decals and more. Each car requires 3 AAA batteries (not included). All of my children love these. Tracks are a little hard to put together.